It is an honour to take part in this meeting of the African Union Peace and Security Council. I welcome your focus on a comprehensive approach to combating the transnational threat of terrorism in Africa. Let me begin with three overarching points. First, we know nothing justifies terrorism. No cause or grievance can ever excuse the indiscriminate targeting of civilians, the destruction of lives and livelihoods, and the creation of panic for its own sake. Second, we know that terrorism has unfortunately been with us in different forms across ages and continents. But modern terrorism is being waged on an entirely different scale. It has become an unprecedented threat to international peace, security and development. Third, we know modern terrorism is not only different in degree, but also different in nature — having grown more complex, and with new modus operandi. And the linkages between terrorism and transnational organized crime are growing every day. The world should never forget that the vast majority of terrorist attacks take place in developing countries. The communities, victims and survivors of terrorism are very much in our hearts. The devastating consequences of the threat posed by terrorism in Africa demand collective and comprehensive action. No single nation, institution, or organization can defeat terrorism in Africa or anywhere else. We need a sustained, cooperative and coordinated approach in tackling this menace. 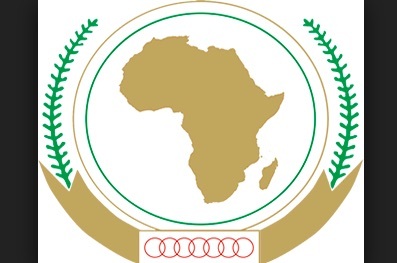 The African Union is a vital partner in confronting the global challenge posed by terrorist groups. As I have said from day one as Secretary-General, we needed a higher platform of cooperation with the African Union. And I am proud that we are indeed building that platform across the range of challenges and opportunities confronting this great continent. Last year, we signed the Joint United Nations-African Union Framework for an Enhanced Partnership in Peace and Security. The Framework includes cooperation in the field of countering terrorism and preventing violent extremism. I believe this work can be strengthened even further with a memorandum of understanding setting out a road map for future collaboration and capacity-building support on countering terrorism within the context of that Framework. L’une des premières réformes que j’ai entreprises a été de créer un Bureau de lutte contre le terrorisme. En collaboration étroite avec l’Union africaine et d’autres partenaires, ce bureau a mis au point des stratégies régionales et des plans d’action nationaux de prévention du terrorisme et de l’extrémisme violent dans la Corne de l’Afrique et en Afrique centrale et australe. Le Bureau a intensifié l’aide apportée à plusieurs pays d’Afrique, notamment le Mali et le Nigéria, pour qu’ils renforcent leurs capacités aux niveaux national et régional. Pour ce faire, le Bureau s’est appuyé sur des instances telles que l’Initiative d’assistance intégrée pour la lutte antiterroriste, qui permet de mobiliser l’ensemble des organismes des Nations Unies à l’appui des États Membres qui en font la demande. Une stratégie d’assistance intégrée est en cours d’établissement pour aider le G5 Sahel à lutter contre le terrorisme dans la sous-région, dont la vulnérabilité est notamment due au retour des combattants terroristes étrangers. Looking ahead, I believe a comprehensive approach to combating the transnational threat of terrorism in Africa can be developed around four key priorities. First, by addressing the deficit in international counter-terrorism cooperation at the global, regional and national levels. In June, I will convene the first-ever United Nations summit of heads of counter-terrorism agencies to build on Member States’ priorities and our discussion today. Our goal is to enhance cooperation and the exchange of information, and develop new and innovative ways to tackle terrorism. Second, success in countering terrorism will be greatly advanced through ratification of existing legal counter-terrorism instruments, conventions and protocols. The United Nations is ready to provide the support needed to the African Union and Member States to implement these instruments. Third, the threat posed by terrorism requires addressing the root causes and underlying conditions. I welcome the growing emphasis by the African Union and African Member States to address the drivers of violent extremism. It is crucial that our efforts include tackling the lack of economic opportunities, including extreme poverty, marginalization, exclusion and discrimination, while ensuring respect for international humanitarian law and human rights. Fourth and finally, we must place a special focus on expanding opportunities for young people — especially since youth under the age of 25 form the largest demographic group in most developing countries and they are often the ones most at risk of being recruited and radicalized by terrorists. Strategic investments in education and employment for young men and women are essential. Resource mobilization for counter-terrorism efforts is also critical. After all, terrorism is not only a threat to peace and security but also to sustainable development. I call on the international community to mobilize resources in support of African countries as they strive to balance security and development. Let me conclude by once again expressing my profound gratitude to the African Union for its cooperation and to African Member States for your commitment and contributions in tackling terrorism and violent extremism. We face a serious challenge — but I believe it is one that we can meet with solidarity, common action and a shared resolve.